London’s Blue Badge Tourist Guides often take their groups around the city’s art galleries and are trained to be familiar with the works of major painters. One of these is Vincent van Gogh. Many of us know a few famous facts about the Dutch post-Impressionist — he only sold one painting during his life; he cut off his ear and later committed suicide. Brilliant artist, unstable person is the general view of Vincent van Gogh. All around the world, fans of the award-winning HBO series Game of Thrones eagerly await the eighth and final season airing later this month. Season seven left everyone on the edge of their seats, with the fate of Westeros hanging in the balance and many questions left unanswered. Will Cersei get her comeuppance? Who will triumph in the ultimate showdown between the living and the Night King, his deathly hoard of wights in tow? And, err, what happens when loved-up Jon Snow and Daenerys the Dragon Queen find out that she’s actually his aunt? 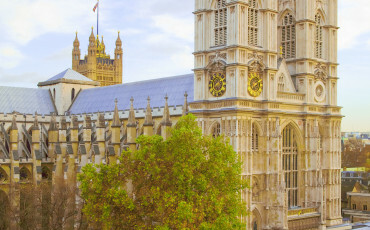 Blue Badge Tourist Guides in London are expected to know their history and knowledge of the major sites associated with popular singers is now also a part of our job. For example, sites connected with the iconic singer David Bowie in London have joined the famous pedestrian crossing used by the Beatles in Abbey Road as places to visit. March will see the feast days of two of the UK’s patron saints: St David of Wales on the 1st and St Patrick of Ireland on the 17th. St David’s day will see a banquet in the evening at the Guildhall and attended by Mayor of London. St Patrick’s Day, on the other hand, will see a huge procession from Green Park to Trafalgar Square on Sunday the 19th starting at noon and an event in the square that will go on all day. 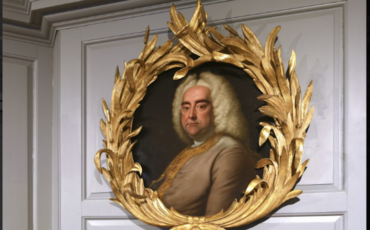 Christmas is upon us and many people – both locals and visitors – will go either to a church or concert hall to experience a performance of the Messiah written by George Frederick Handel, which is a highlight of the festive season. The Messiah was first performed in Dublin in 1742 and soon came to London. 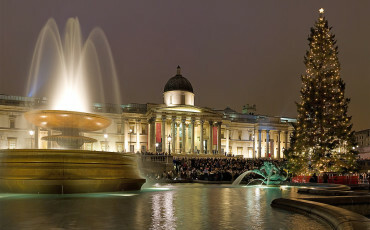 For many Londoners, the Trafalgar Square Christmas tree lighting ceremony along with carol singing marks the start of the countdown to Christmas. 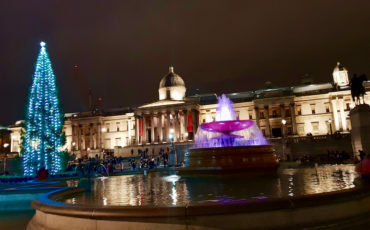 This year the Trafalgar Square Christmas tree was officially lit on 6 December by the Mayor of Westminster, the Norwegian Ambassador and the governing Mayor of Oslo. Looking to get into the festive spirit while also shopping for some unique Christmas gifts? 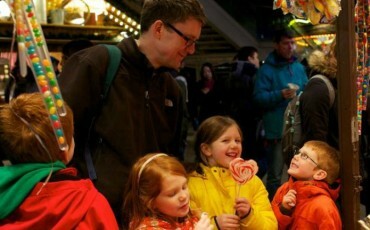 Then consider visiting one of London’s Christmas markets. 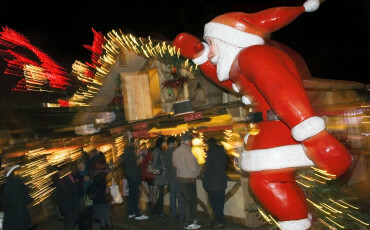 From large German Christmas markets such as Winter Wonderland and the South Bank to smaller Christmas fairs, these 8 markets are perfect for your Christmas shopping needs. 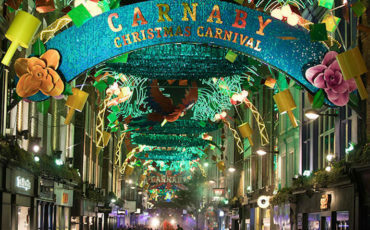 Christmas festivities in Central London usually start with the putting up of Christmas lights in the major shopping areas. But nowadays, the laying out of ice rinks in popular tourist attractions makes the visitor experience much more fun. 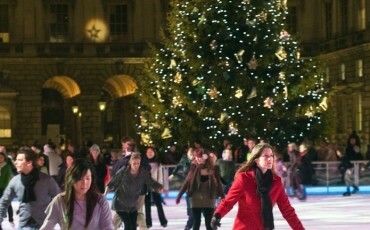 Here are 5 places where you can enjoy skating in London with amazing scenic views. 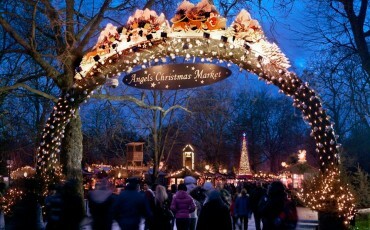 London is a great destination to visit all year round, but there is something magical about the city at Christmas time. The Great British weather doesn’t have too many fans but the crisp nature of a clear Winter’s Day is a thrilling sight (as long as you are properly wrapped up) and there is no shortage of great Christmas London attractions. 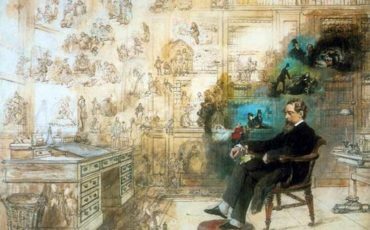 More than anyone else, Charles Dickens invented the British Christmas with A Christmas Carol, his story about Ebeneezer Scrooge and the ghosts of Christmas Past, Present and Future. 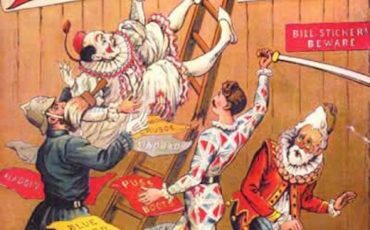 This book was first published in 1843 and has been adapted for stage and screen many times. Now a new film and exhibition at the Charles Dickens Museum London celebrate this famous story. 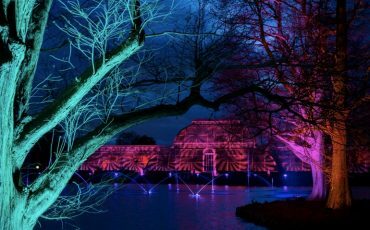 Now in its fourth year, the new 2016 winter trail is inspired by the gardens themselves, as the trees, temples and glasshouses of Kew are playfully lit and all aglow. Enter between two giant Christmas trees festooned with ribbon and wander beneath unique tree canopies drenched in seasonal colour. Follow the path between a carpet of light gently swaying like blossom and stop for a moment of reflection at the scented Fire Garden inspired by Five Gold Rings from The Twelve Days of Christmas. 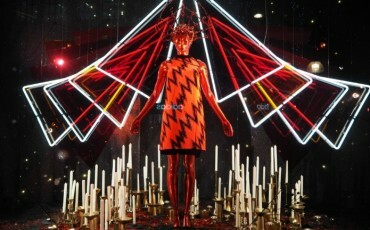 Major department stores in London give their shop windows a makeover in December to celebrate the festive Christmas season and become retail theatre. The unveilings are highly anticipated and people often queue for hours waiting for the moment that stores like Harrods, Selfridges and Fortnum & Mason unveil their Christmas masterpieces. Christmas trees, Christmas lights and festive decorations are seen all across London during December. It makes the city extremely inviting in the late afternoon and evening for shopping and exploring. 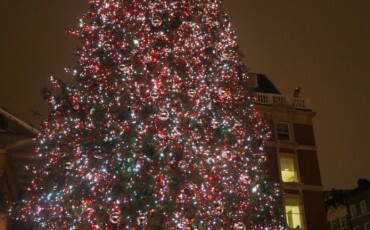 Featured below are 8 Christmas trees across London during this festive season. 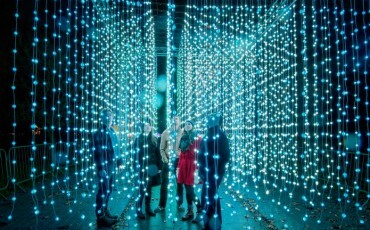 London offers a variety of ways to keep you entertained over the festive season. Here are some of the best tips from Guide London to help you make the most of the capital over the next few weeks. 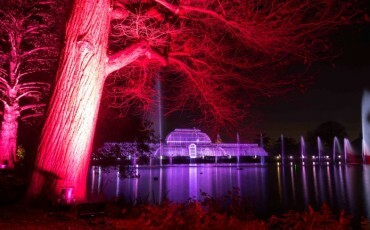 Did you know that Kew Gardens was home to one of the very first decorated Christmas trees in England? It was Queen Charlotte in the 1790s who dressed branches in one of the largest rooms at Kew Palace, and when the tree was lit and all aglitter, the whole court gathered round. London is a buzz of excitement during the entire month of December. As by the end of November, most of the major shopping areas have their Christmas lights and shop windows decorated. The remainder turn on their lights early December when there is typically a party in the street as the lights are ceremonially turned on by a celebrity or two!